A torn earlobe or an earlobe damaged from an accident can be repaired by our board-certified otolaryngologist & head and neck surgeon, Dr. Masoud Saman. 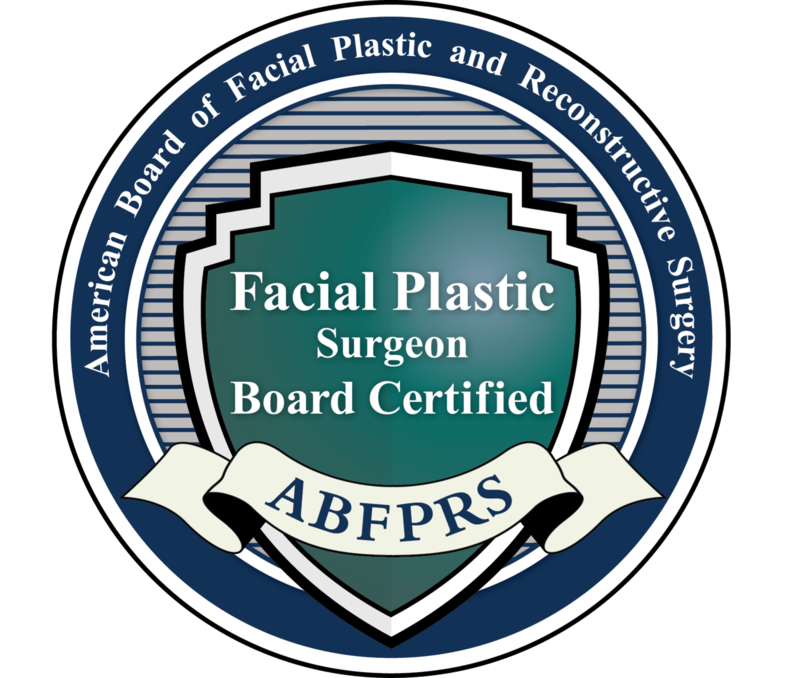 In Texas, Saman ENT & Facial Plastic Surgery offers earlobe repair to residents of Dallas, Plano, and the surrounding communities. Earlobe repair can improve your appearance and boost your confidence following earlobe injury or trauma. When considering any plastic surgery procedure, trust the unique expertise of a plastic surgeon like Dr. Saman, who is also the Medical Director of Head and Neck Oncological and Reconstructive Surgery at the Medical Center of Plano. Earlobe repair is a safe, fast surgery, which can fix the earlobe following one or more problems. Problems in the earlobe most often occur when someone is wearing earrings, which are heavy or stretch the earlobe from within (like a gauge). When heavy earrings are worn, the earlobe can dramatically stretch and, in some cases, the hole of the ear piercing can tear through the lobe, resulting in a slit. This can also happen if someone or something attaches to your earring and pulls or you jerk your head causing the earring to rip through the skin. Schedule a consultation to see how your torn earlobe can be corrected today. Earlobe repair surgery is very simple and we make sure you are as comfortable as possible using local anesthesia. You will be awake for the procedure. Dr. Saman makes small incisions to remove any scar tissue and/or stretched areas. Sutures are then placed to repair the natural shape of the earlobe. If you’re considering earlobe repair in the Dallas, TX area, look no further than Saman ENT & Facial Plastic Surgery. Dr. Saman is committed to bringing his patients the best in both technology and compassionate care. Patients can expect inflammation and bruises after earlobe repair surgery. However, these symptoms will subside after the first couple of weeks of recovery. Each patient will have a different circumstance as to the level of damage to the earlobe, your recovery time will vary. It is important to follow all of Dr. Saman's instructions on how to care for the earlobe. such as not sleeping on that side of your head, monitoring small children who have had the surgery so they do not rub or scratch the area, and keeping the area clean and free of infection. Can You Repair A Gauged Ear? For the case of ear gauges, over time, the earlobe stretches to accommodate these earrings. If someone chooses to take the gauges out, the lobe can be so stretched out from the enlarged hole that you can see right through it. Earlobe repair surgery corrects all of these common issues. Earlobe repair surgery is very simple and we make sure you are as comfortable as possible using local anesthesia. Dr. Saman makes small incisions to remove any scar tissue and/or stretched areas. 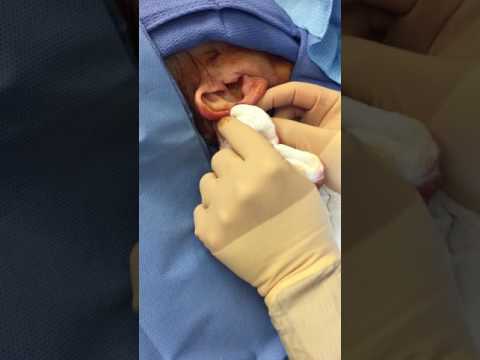 Sutures are then placed to restore the normal shape of the earlobe.